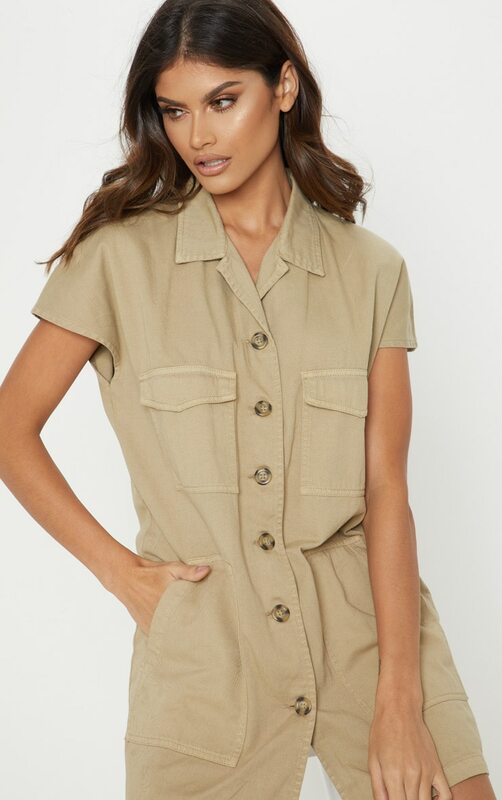 This cargo shirt dress is a must-have for the new season. 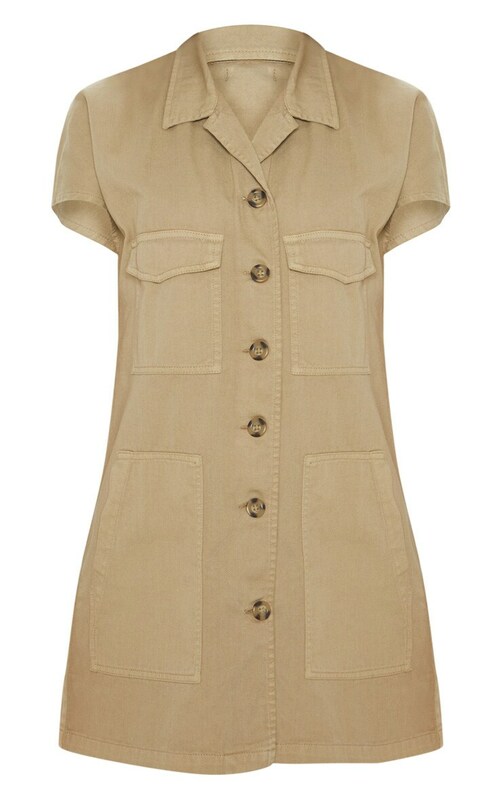 Featuring a stone material with pocket detailing, button detailing and a loose fit. Team this with knee-high boots and a jacket thrown over your shoulders to complete the look.